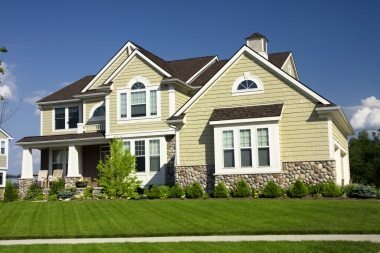 Lewis Insurance is here to help you find the right insurance for your home. Whether you’re a home or condo owner, a renter, or a landlord, Lewis Insurance will work with you to find a home insurance policy that fits your needs. We specialize in making it easy to choose the insurance coverage that gives you the best value cost effectively. Every home is unique – talk to us today to find out how to get the best value on homeowners insurance for you. Your home is the center of your daily life, and likely one of your most valuable assets. When your home is damaged or destroyed, you need your claim settled by an insurance company that understands this simple fact. Lewis Insurance Associates can help you find the homeowner’s insurance that will provide the most valuable combination of tailored coverage, fair pricing, and quality service. Homeowner’s policies differ by which losses are covered, which coverages you choose, and what type of residence you own. You choose which policy is best for you, whether it’s a comprehensive policy or a policy that covers only specified losses such as fire, hail, smoke, falling objects, and vandalism or theft of personal property. If you can’t live in your home because of a covered loss, your home insurance policy will pay additional living expenses—for a specified time or value—while damage is assessed and your home is repaired or rebuilt. Years of your life have been dedicated to collecting your valuable treasures. If you have jewelry, fine arts, or any other collectibles, you should consider buying a separate policy or scheduling the items on your homeowners policy. Some items are limited for coverage under your homeowners policy, such as guns, jewelry, coin collections, and furs. Scheduling the items or purchasing a separate policy will give broader coverage at an agreed upon limit and a different deductible option. It can allow for coverage from accidental losses not just theft or fire. An appraisal may be required in order to insure the item at the value requested. Contact Lewis Insurance Associates for coverage on your valuable possessions. Landlord insurance is designed for property owners who will have anyone other than the owner occupy the owned home, regardless if rent is paid. Coverage for the dwelling, loss of rent, liability, and more are available on a Landlord policy. The occupant of the home would need to purchase renters insurance to cover the property they own and move into the landlord’s house. A renter’s insurance policy would cover the occupant for liability in cases of accidental fires, accidental injuries, or other liability exposures that occur while they occupy the home. If you have a property that you are considering renting, contact us for assistance.